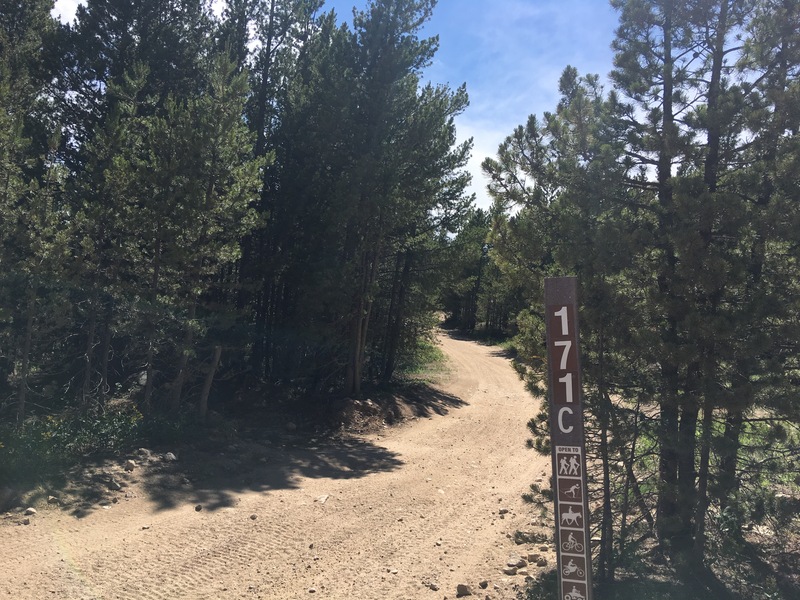 Forest Road 171 is just south of Red Feather Lakes and offers plenty of recreational opportunities. Geographically, the area in which the 171 network of roads is located is in the Swamp Creek drainage. FR 171 is actually a loop back towards the main road from which it starts, County Road 69/Manhattan Road. 171 also has numerous spurs and branches, indicated by letters and hence the “network” designation. All spurs are accessible by the parent, nonlettered 171 road, but not all spurs provide access to other spurs (though some do). This whole area offers a plethora of choices for offroading, camping, and shooting. Hiking is comparatively limited but for a drunken weekend in the hills this area is perfect. 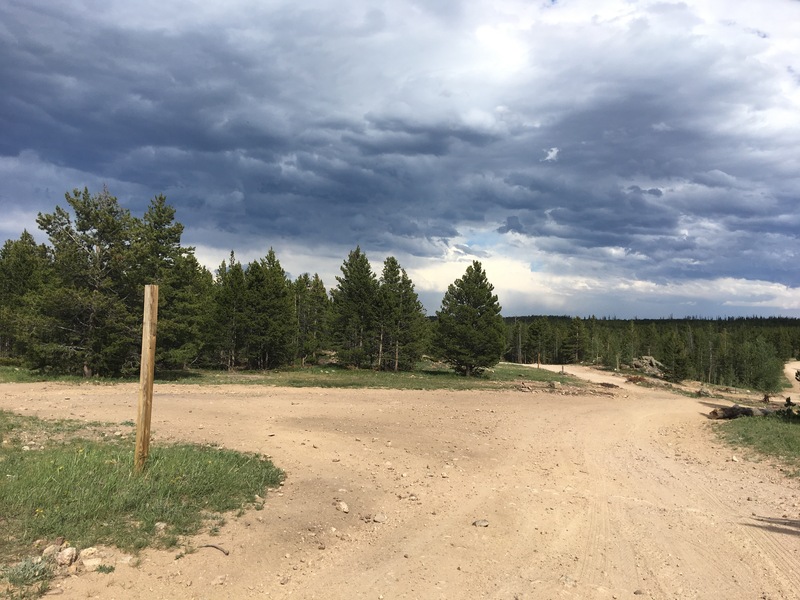 You are less than 15 minutes from the town of Red Feather Lakes, which has reliable cell service, two general stores, a sporting goods store, restaurants, a coffee shop, and a hardware store. There are four ways to access the 171 network, three from Manhattan Rd. (CR 69) and the fourth via Sevenmile Rd., an offroad route. The start and end of FR 171 itself are both well marked and highly visible in terms of geography from the parent county road. 171A runs parallel, in between both of the main forks of 171, but is gated and only open seasonally. The whole network is easy to navigate. The junction between 171 northbound, 171 southbound, 171C, and 225 (Sevenmile Rd) is a wide open area, for instance. Most of the 171 network consists of wide yet bumpy gravel and dirt roads. Again, everything loops back into itself, and technically the parent (nonlettered) 171 route loops into itself via 171A and CR69. The entire southern side of the 171 network essentially runs along the highest ridge immediately north of the Poudre Canyon. Dispersed campsites along the southern side are plentiful, and offer fantastic views south, east, and west of Crown Point, the Mummy Range, the Stormy Peaks, Signal Mountain, and White Pine Mountain. Part of the southern side of the 171 network is private property, but the road is public the entire way. Of the four ways into the 171 network, by far the most accessible are the two main entrances off of Manhattan Rd. Sevenmile Creek would be the most challenging, and 171A would be somewhere in between. Although there are great views along the southern side of the 171 network, there are plenty of great dispersed campsites all over the place. I’m not revealing exactly where the above picture was taken because I don’t want people knowing about this site. You’re welcome to try and figure it out on your own.